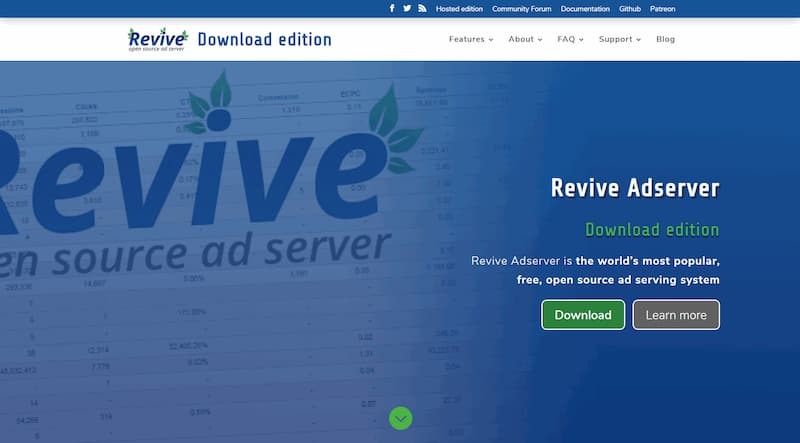 The Revive Adserver Project Team announces the release of a new version of the popular free open source ad server system Revive Adserver. Version 3.0.4 is a bug fix release, and is available on the Downloads page of this website. A small number of our users experienced an issue with version 3.0.3 (released on March 13, 2014), more specifically with the hourly maintenance process. We would like to explain how this issue affected them. The Revive Adserver software has a feature called “maintenance”. It is supposed to run every hour, and it will perform several tasks. It will summarize the statistics that have been collected in the previous hour, it will update the probability of the banners in all zones, and (at midnight), it will check if there is a new version available. The majority of users have setup a cron job (scheduled task) to trigger the maintenance process every hour. This is called ‘Scheduled maintenance’. Typically, this runs at the top of the hour, sometimes at one minute past the top of the hour. These users have had no issue since they upgraded to version 3.0.3. The Revive Adserver software is able detects that a Scheduled maintenance process has not run. If that is the case, then 5 minutes past the top of the hour, it will execute the maintenance process after all. This is called Automatic maintenance. However, a bug in version 3.0.3 affected the Automatic maintenance, and the effect was that the maintenance process doesn’t run. Typically, users who rely on Automatic maintenance, will have noticed that their statistics are no longer updating. The numbers are most likely still being collected in the background, and it is expected that the statistics will pick up once an upgrade to version 3.0.4 has been completed.